On Thursdays we will post apple varieties which will be ready to pick starting on Saturdays. 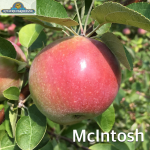 Check our “Apples” page for current availability of your favorite varieties as well as new pricing and picking protocol. 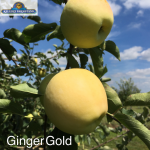 We have a VERY limited supply of Ginger Gold apples. These will go fast! Please refer to our Apples page for new pricing and picking protocol. Our Oswego orchard is open M-F 9-6pm, Sat & Sun 9-5pm. Cortland apples ripe for picking! 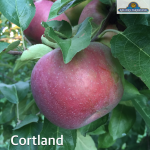 Cortland apples are ready to be picked! It’s great for eating fresh or cooking an apple pie. Our Oswego orchard is open daily M-F 9-6:00pm, Sat & Sun 9-5:00pm. Apple Cider Donuts Are Here! 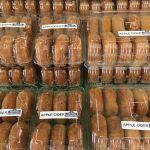 Our homemade apple cider donuts are available Saturdays and Sundays at our Oswego farm. Donuts tend to fly off the counter at a quick speed. Get them while the supply lasts! Come for the donuts, stay for the apple picking! Our Oswego apple orchard opens on Saturday, August 19th! Apple picking begins with Zestar apples. 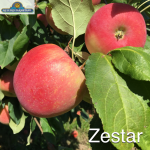 If you love Honeycrisp, you’ll love Zestar! Please refer to our Apple page for new pricing and picking protocol. We’re open M-F 9-6pm, Sat & Sun 9-5pm. We’re hosting The Great Pumpkin Run on Sept. 16! 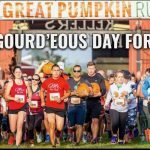 On September 16th, we are hosting The Great Pumpkin Run! Sign up now before prices increase on Sunday. We are collecting food for the Kendall County Community Food Pantry that day. Details are on our 5K page. Hope you can join us! 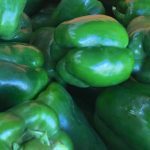 Bell Peppers Producing Like Crazy! We are co-sponsoring the Watermelon Eating Contest and Sweet Corn Chow Down at the Kendall County Fair on Sunday! Join us!